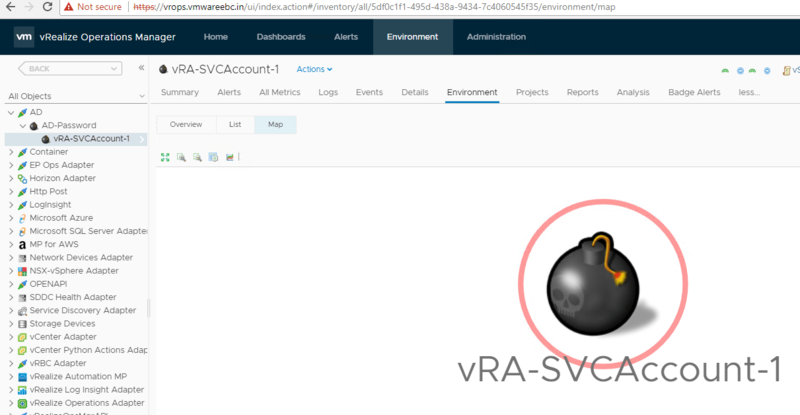 Recently we had a customer requirement where he wanted to monitor his active directory password expiry for his vRA Service Account using vROPS, unfortunately this is not part of the AD management pack with vROPS and we had to create a custom solution to attain the same. 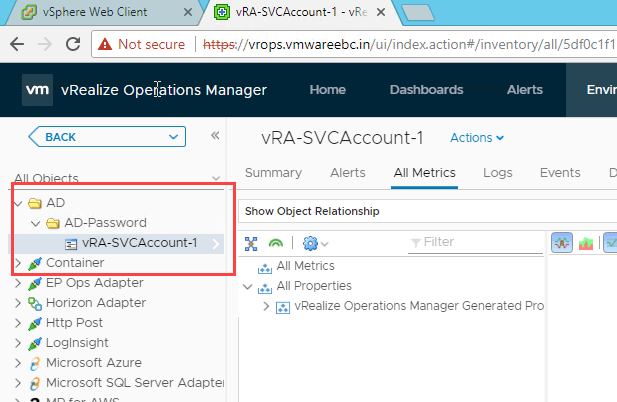 We need to tap into the vROPS REST API to attain the same, i wont be going in details on the same as i have other blogs which detail them, please refer the below if you are getting started !. First lets create the resource object which is basically the vRA service account used by vRA, we would also define the adapter kind and the resource kind for this object, for our testing we would create it as “AD” as the adapter kind and resource kind as “AD-Password” for this resource object. Here’s the code below ! Once you execute the above REST call you would see that we get a success in the response. Now, lets head over to vROPS and you would see the Resource object created with its resource kind and adapter type. You will see that the icons used by the objects show up as a folder and would change if you give it some time, in my case it changed to a time bomb 🙂 lol ! . Refresh the page again and you should see the new icon in effect. Now as the object is created, we need to create the custom metrics under them which would hold the password age. As vROPS colllects at default of 5 minutes, you can have a scheduled task which runs the powershell script to collect the AD password age, also the date using the above function and also execute the REST API to update the password age so you get live data. Ok so lets get onto the code to get the metrics for the resource object and its values, you would see the XML has multiple metric names and values, this was just to test how it handles when we throw multiple metrics at it and values, you can delete the ones you dont need from the XML file. Next lets head over to vROPS and see if the values are populated, and indeed we see them!! 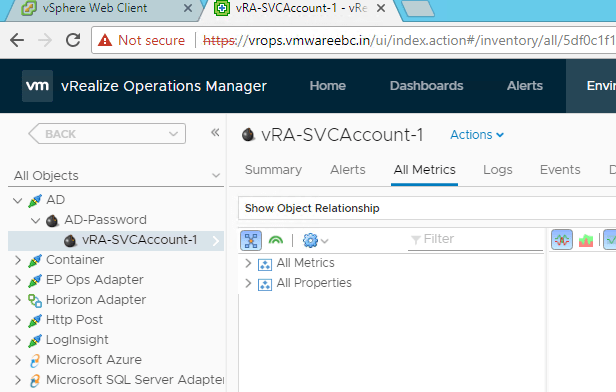 Hope this helped you out to dig deep into creating custom vROPS resource objects and metrics and helps you to modify and create your own resource for any of the use case !. Thanks just what I needed, so no need to reinvent the wheel. haha sure man!, you have an amazing blog too. thanks for contributing to the community!